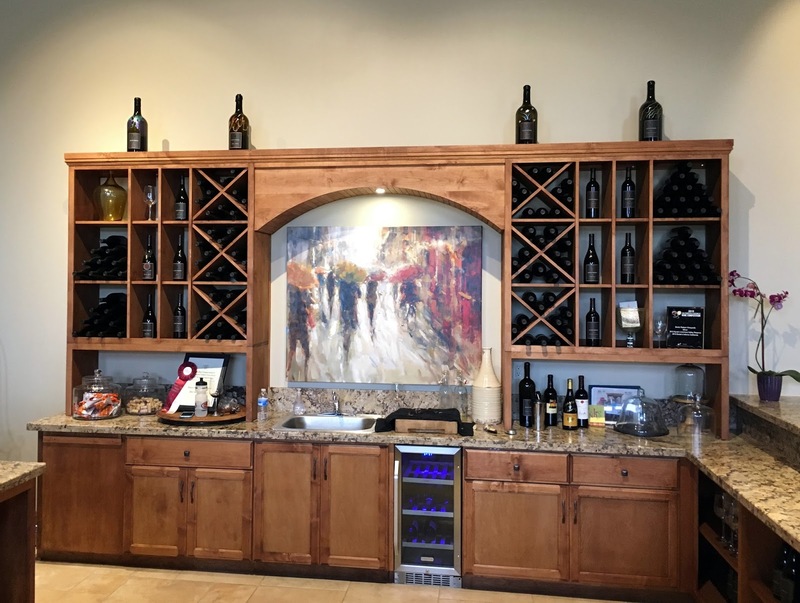 We have been fans of Dante Robere Vineyards for several years, as they poured out of the Eagle Ridge tasting room. After a frustratingly-long construction project, their winery and tasting room finally opened. With much anticipation, we visited their new digs! 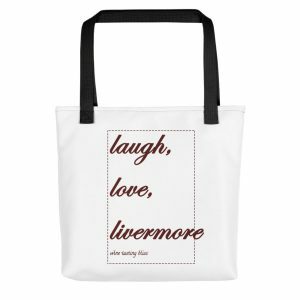 Jim Perry, owner/winemaker at Eagle Ridge Vineyards has become one of the godfathers of the Livermore wine making scene. 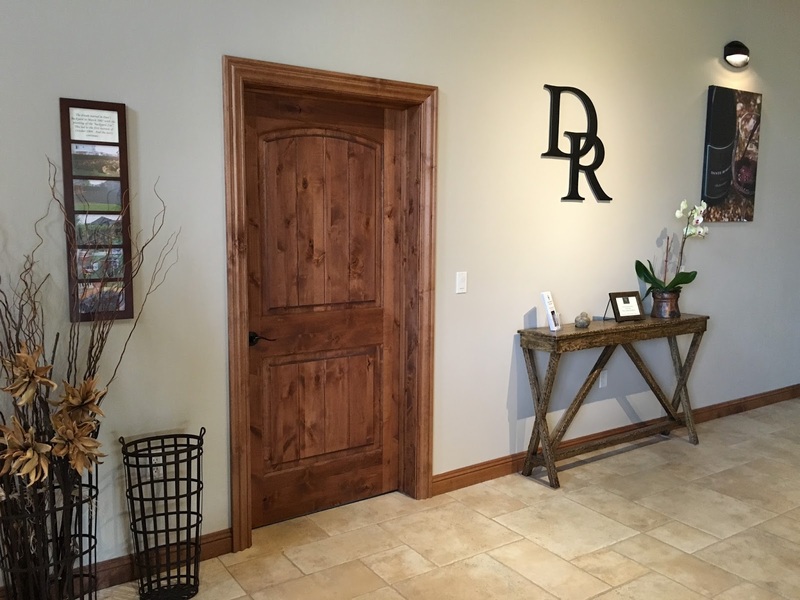 It didn’t surprise us at all when he invited newcomer winery Dante Robere to share his tasting room as they got started and worked toward a facility of their own. 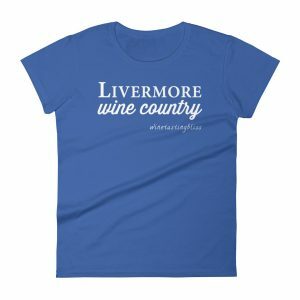 Who could predict that building a winery in Livermore would take two years? Nonetheless, the Eagle Ridge tasting room adjusted to the partnership and a good time was had by all. At long last, the Dante Robere property is open and we were able to make our first visit. 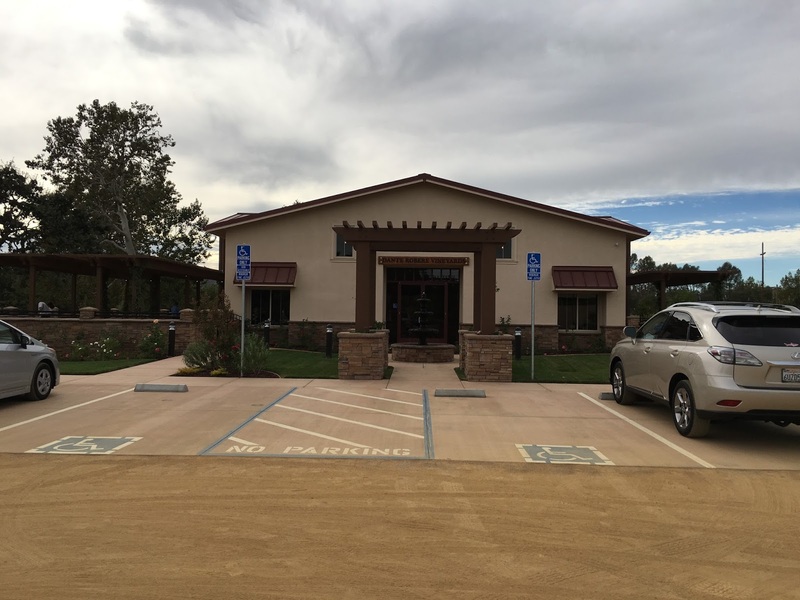 Finding the Dante Robere tasting room is easy: it is directly across the street from the Sycamore Grove Regional Park on Wetmore Road. The sweeping brick arches on either side of the driveway let you know that you’ve arrived at someplace special. We found a spot in the ample parking lot and looked around the grounds before entering. Ready for crackers and cheese! 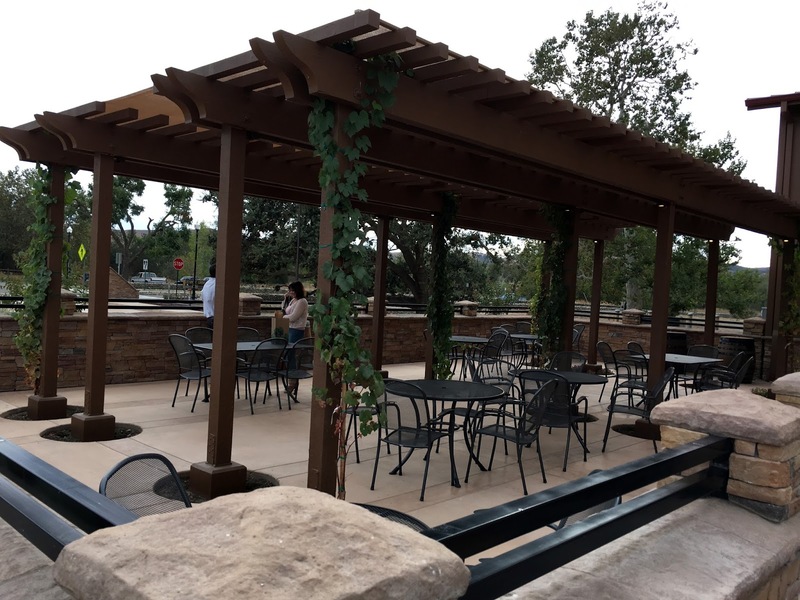 The first thing that we noticed was a nice covered patio area, complete with tables and chairs. We’re always on the lookout for a cheese and crackers opportunity when we are visiting wineries. 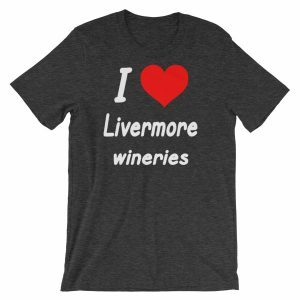 It’s great to add Dante Robere to the distinguished list of wineries that understand that wine tasters need their carbs, too. Thanks, Dan and Bob, we appreciate this gesture! Eventually we made it into the tasting room. Wow! Spacious and airy, with plenty of bar space for happy wine tasters. We liked the warm color palate, complete with dark woods and some art on the walls. There was a side room for a more private tasting experience and a “wine club only” second patio. 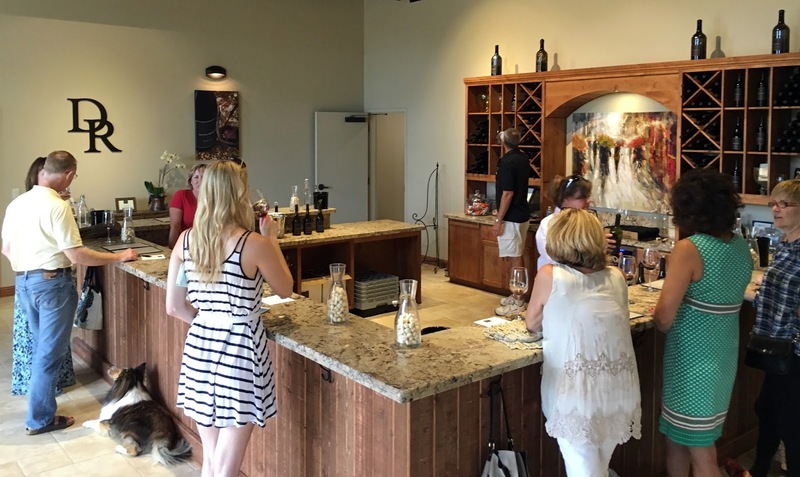 This tasting room can definitely handle a crowd! And on to the wine! We are already fans of the Dante Robere tasting menu, at least as it existed before they left Eagle Ridge, so we focuses on the new releases on the menu. First up was their 2012 Zinfandel. We found a main-stream Zin, with nice pepper and a crisp finish. Next up was their 2013 Mourvedre. It had a fun, musky nose with a very light and inviting flavor. We appreciated the low tannins and dark fruit notes. We then tasted their 2012 Cabernet Sauvignon, which we learned was sourced from a vineyard adjacent to a Eucalyptus tree. Maybe it was just the power of suggestion, but we both believed that we could taste the Eucalyptus notes. The moderate tannins and medium acid made this ideal for pairing with any kind of beef. Our final taste was their 2012 Petite Sirah. Inky and dramatic in the glass, we loved the amazing aromas. Light and extremely drinkable, we enjoyed the mellow fruit notes, including plum and dark cherry. This wine is ready to drink now, but will become even more amazing in a few years. The day was drawing to a close, so we made our purchase decisions and offered our congratulations on the new facility one more time. As we had hoped, it was worth the wait. 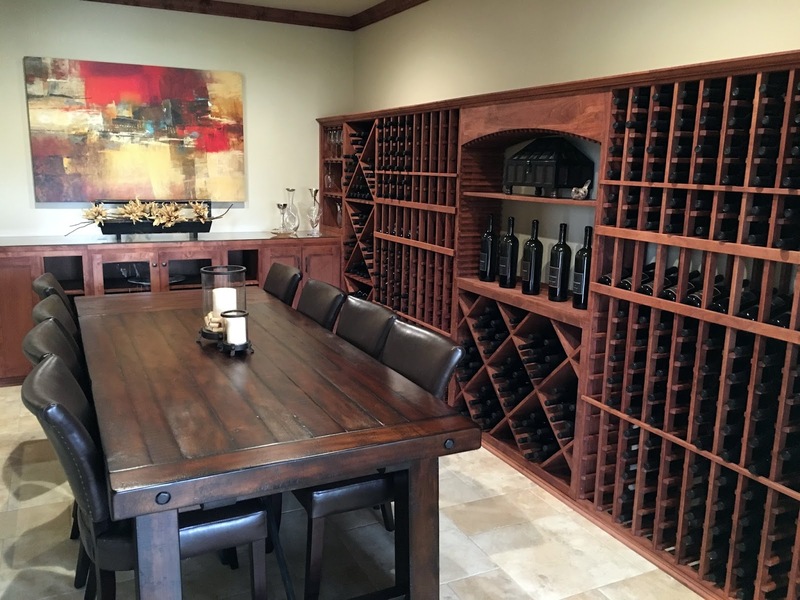 Next Post:Storing Your Wine – What’s in Your Cellar?